Executive's 2 story town home built in 2005. 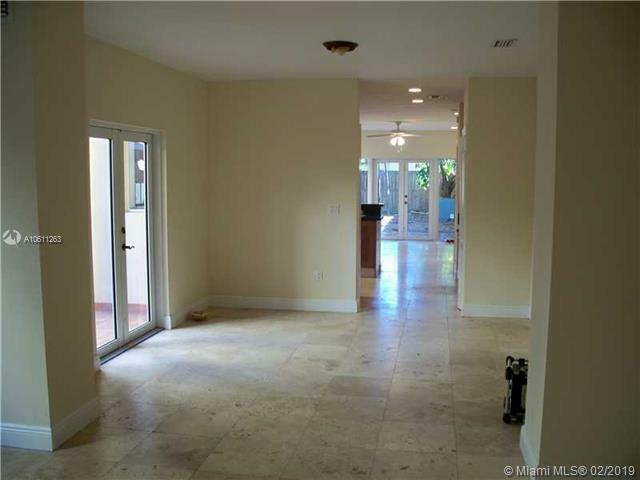 First floor has lots of light with french doors all around. Cook's kitchen with stainless Bosch appliances, granite countertops, desk area adjoins family room that opens to expansive decked patio for Fla lifestyle entertaining. Newly landscaped private fenced yard with wood deck. Upstairs are 3 bedrooms. 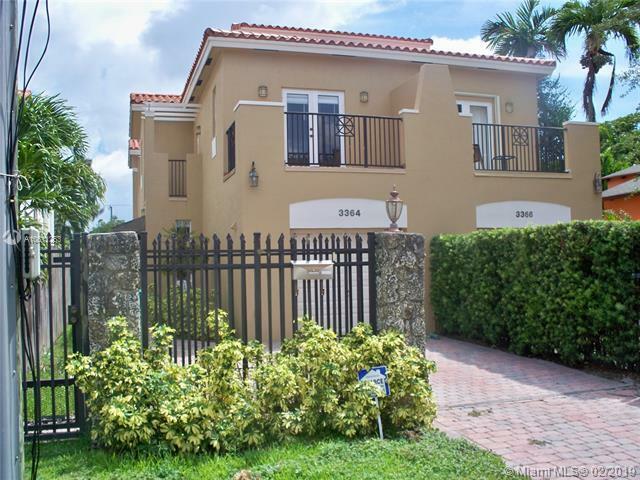 Master suite has lavish bath inc walk in shower, whirlpool tub, bidet, double sinks. Laundry room upstairs, new washer. 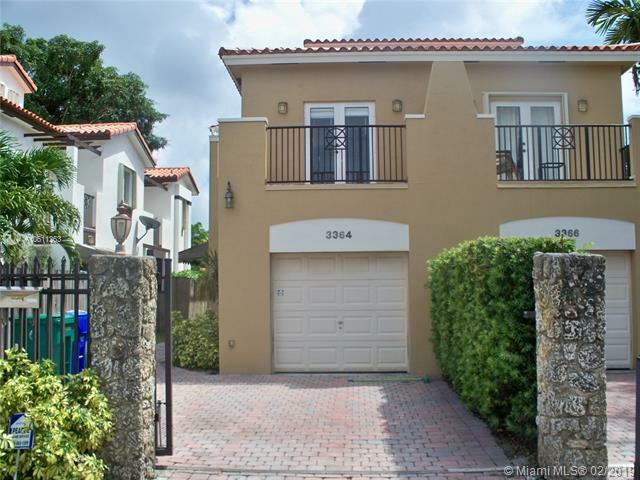 Centrally located to UM, Grove/Gables business district, airport, metrorail, hospitals, etc. Brick paver driveway with electric entrance gate. One car garage. Available immediately. Owner needs Equifax credit report. Small dog ok with deposit. 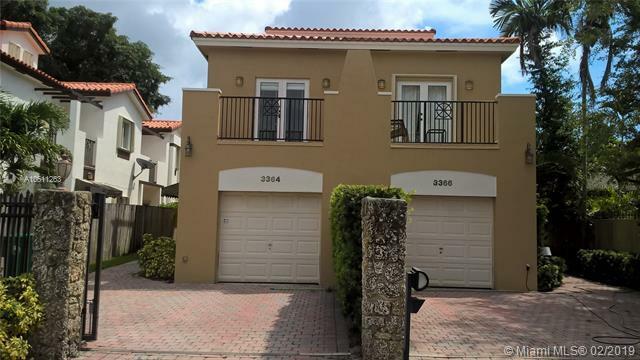 Listing courtesy of Vetter Realty Of Miami Llc.